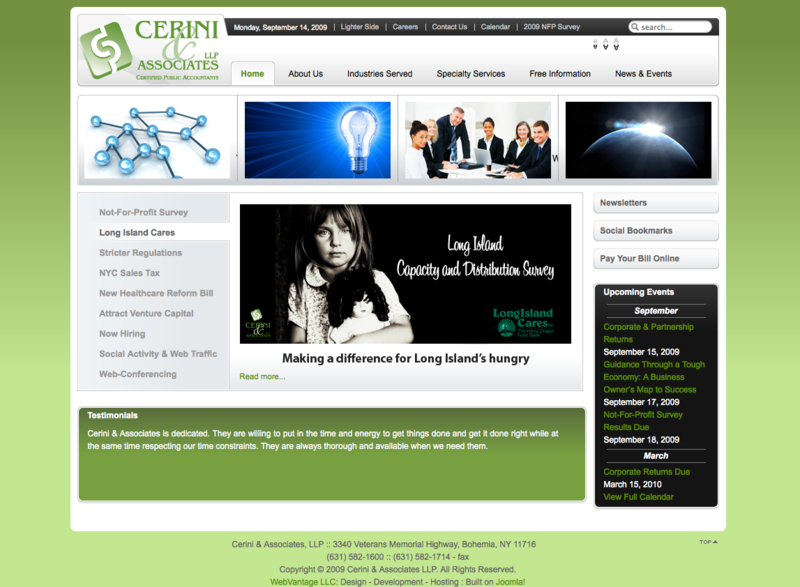 Cerini & Associates, a Long Island, New York-based professional full-service accounting firm, responds to the business and financial needs of clients across the tri-state area. One of the first sites we have built using Joomla 1.5. Joomla! 1.5, Frontpage Slideshow, Sliders, Events Calendar, Captcha, Forms, Surveys, Newsletters, PayPal Billpay, Document Downloads, Social Bookmarking and more.